I know most of you are expecting me to post about proto.in and by experiences at BCB4. I am sorry I am going to disappoint you. Before you shoot me, let me explain why. There are lot's of bloggers out there who have done a great job of showcasing the events. I can never hope to match them. The more important reason being, I want to bring out the personal element of my interaction with some of the folks in a phased manner. Do let me know if you are not fine with this. The 2007 International Design Excellence Awards were announced. The awards were given under various categories like Business and Industrial Products, Computer Equipment, Design Concepts and so on. In total 81 designs were awarded for this year. Frankly I haven't gone through all the 81 at the time of posting this article. Out of about 30 that I have seen, I like the following two. 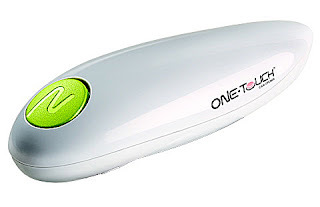 "The One Touch Can Opener is the world’s first cordless hands-free can opener. Forget struggling to puncture a hole. Simply place One Touch on the can and press start. It “walks around” the can by itself, stopping automatically when the can is open. When you lift the opener off the can, a magnet on the opener removes the lid as well. Inspired by natural forms, such as pebbles and dolphins, its soft, sculptural shape is quite distinct from the sharp edges and even sharper blades of traditional openers. When not in use, the cutter and drive wheel are retracted into the casing, hiding sharp edges. With no protruding handles or grips, One Touch’s smooth, flowing organic shape is sculptured tightly around the internal components. It was originally designed for senior citizens but has since proved popular with anyone needing to open a can." 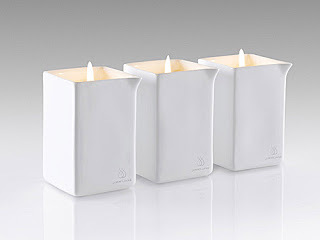 "EMBER is a unique line of scented candles that contain a blend of clean-burning natural waxes that when melted can be used as massage oil. The custom-designed porcelain container provides a smooth, flattering reflected light, and when dispensing the melted wax, the subtle corner spout was engineered to minimize dribbles. Once on the skin, the wax will not harden nor does it need to be washed off. The porcelain top serves both as a lid (to snuff the candle and keep the wax free of dust) and a trivet (to protect surfaces from heat and stray wax). EMBER has significantly impacted the company’s bottom line, exceeding initial sales projections and ranking among the company’s top selling products." Aren't they beautiful, simple yet striking. Check out the other designs too. Some of them are simply awesome.